Filed under: InfoWorld |	Comments Off on Python Issue Slithers Away? High Roman Wall, originally uploaded by webmink. 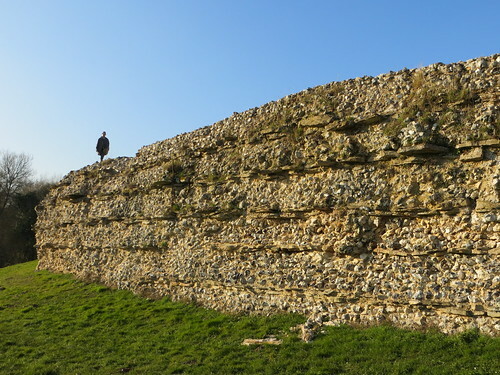 We went walking yesterday around the remains of the Roman town Calleva Atrebatum in Silchester, Hampshire. This was an large, bustling town at the focal point of England’s road network in Roman times. It appears to have been the distribution hub for Roman Britain, just like the modern purpose-built town of Milton Keynes. It declined when the Romans left, and was finally killed off in the 13th century by the Black Death. A great deal of the enormous town wall remains standing, enclosing otherwise almost empty farm land.